Ava, aka RJ's Cub, is a 11 1/2 year old fawn female born June 23, 2004. The Amarillo-Panhandle Humane Society contacted GALT December 19 about an older tattooed female greyhound, named Ava, who was an owner surrender. The owner was asked why they were surrendering Ava. and they said because she was old and pooped in the house. GALT picked up this precious fawn lady. Ava was so weak, confused and frightened that she could not walk out of the shelter. She was carried out by the APHS angels. Ava was loaded into the SUV, said her goodbyes and thank yous with sweet kisses to the staff there. She was then taken to Dr. Wick Culp's clinic, Animal Medical Center in Amarillo, and seen by Dr. Harrison. Ava was given subQ fluids as she was very dehydrated and treated for a large infected wound on her swollen right hind leg. 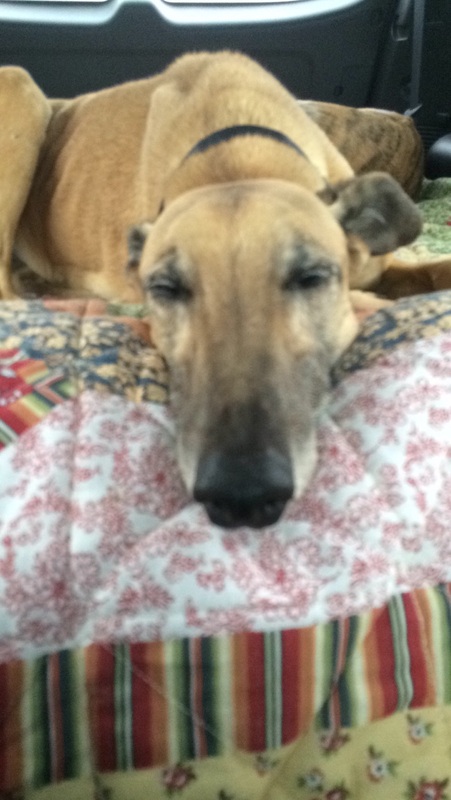 Ava's bloodwork shows she is heartworm negative and negative for two tick borne diseases. Further medical evaluation is ongoing, as she is being watched very closely for possible bladder stones. 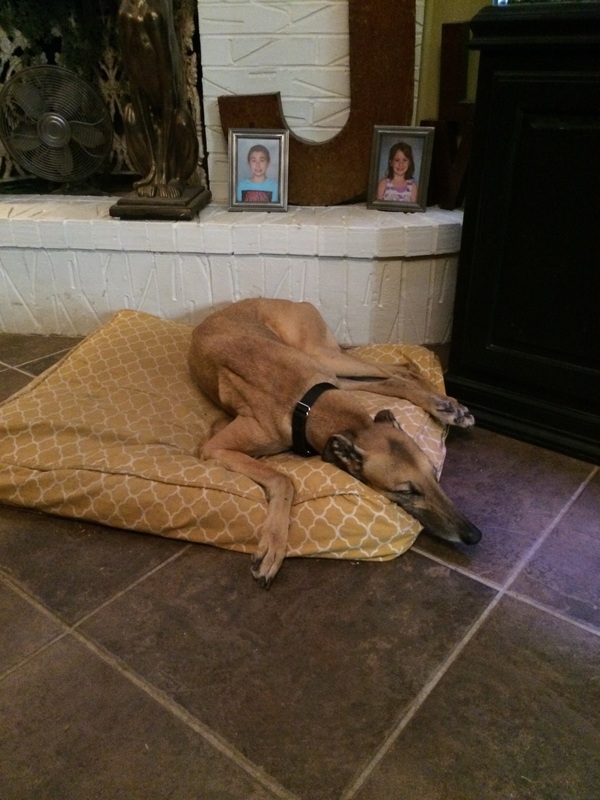 Ava is now resting comfortably in the warmth and safety of a GALT foster home. One person's trash is another person's treasure. Ava is GALT's treasure now! Ava is being rechecked on February 2 for crystals in her urine as well as getting a much needed very first dental. Ava arrived to GALT spayed. Ava was cleared for any crystals in her urine and had her first ever dental with no extractions! This sweet girl is ready to find her forever home!